Glaucomatocyclitic Crisis, or GCC, is a glaucoma-like condition in which eye pressure rises quickly, usually in just one eye. The spike in eye pressure is caused by a sudden onset inflammation that occurs in the eye, called uveitis. Uveitis is an inflammation of the uveal tract in the eye. The uvea is a blood vessel-rich layer that includes the ciliary muscle, the muscle that controls focusing, and is also responsible for manufacturing the fluid in the front part of the eye. The eye pressure spike or attack can come on quickly and last from just a few hours to weeks or months. Most cases last about two weeks. GCC usually occurs between the ages of 20 and 50 and is rarely found in individuals older than 60. Uncommonly, it can be found in children. Interestingly, patients that have GCC do not often complain about frank pain, light sensitivity, and pain which are common symptoms of uveitis. In fact, sometimes the condition is missed because uveitis is so mild. In most uveitis cases, inflammatory cells and debris forms in the front chamber of the eye. This debris thickens the fluid and also becomes trapped in the trabecular meshwork, the drain pipe of the eye’s fluid found in the angle of the eye. In GCC, there is a measurable increase of a biochemical called prostaglandin in the fluid in the front part of the eye. During attacks, the prostaglandin concentration rises and causes inflammation in the trabecular meshwork that in turn causes the fluid to drain improperly. Also, the prostaglandin causes an increase in the fluid production in the eye. In times of remission, there is a marked decrease in the level of prostaglandin and decreased fluid production. In essence, when the drain pipe is not draining properly and there is more fluid being produced, the eye cannot filter it out fast enough and the pressure inside the eye increases. Scientists propose that it GCC caused by some type of virus, such as CMV (cytomegalovirus), or the herpes zoster virus (chicken pox virus). Studies show that fluid taken from patients suffering from a glaucomatocyclitic crisis have tested positive for small genomic fragments of those viruses. No live viruses have been found. These viruses trigger the inflammatory reaction to begin. When a GCC attack comes on, the eye pressure can rise so high that damage occurs to the optic nerve (the nerve cable that connects the eyeball to the brain) and the nerve fiber layer. If enough damage occurs, vision loss can occur, usually starting in the peripheral part of your vision. If left untreated, it could spread to your central vision. No. Acute angle closure glaucoma is also a sudden onset type of condition that can cause a sudden rise in eye pressure, but is brought on by the narrowing of the angle of the eye. The angle of the eye is where the trabecular meshwork (the drain pipe) is found. The angle where the cornea and iris meets becomes so narrow that fluid cannot escape. People that have acute angle closure also do not have uveitis and typically complain of much more pain. In patients with GCC, the angle is also wide open. Since inflammation in the eye is the root cause of the pressure increase, powerful anti-inflammatories such as steroids are prescribed. Also, topical anti-glaucoma eye drops are given to lower the eye pressure. A certain class of glaucoma medications called prostaglandin analogs (often used as first-line treatment in most chronic glaucoma patients) are avoided as they could actually exacerbate the inflammation. Future possible treatments are focused on anti-viral medications since scientists think it may have a viral etiology. 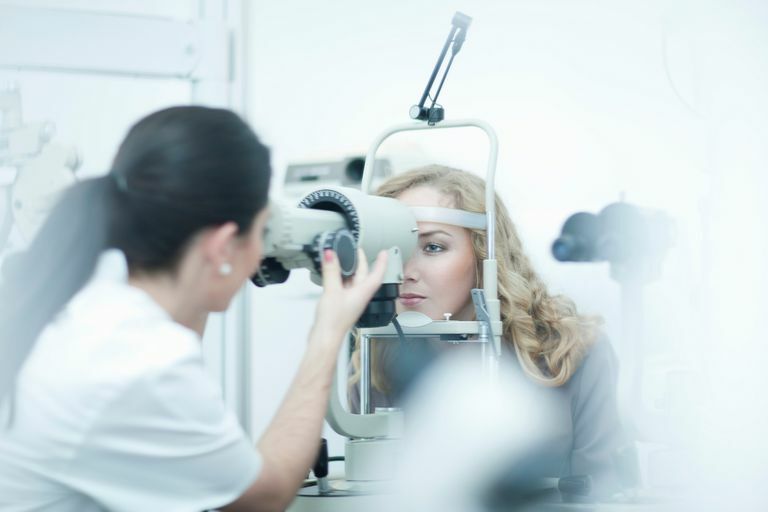 GCC is usually a benign and self-limiting disease, although in some patients that have frequent recurrences, permanent glaucomatous damage can occur. It is best to have a good relationship with your eye doctor so that treatment can be started immediately if the condition reoccurs. Sowka, J., Gurwood, A., and Kabat, A. The handbook of ocular disease management, Review of Optometry, Sixteenth Edition, 15 June, 2014.